Sometimes you go to bed and when you wake up, the whole world looks so different. That is what has happened today. Today being the day that we woke up, did our daily check of Justin Bieber's Instagram (as you do), and discovered that the guy we were this close to being a fan of now has dreads. Yep. Justin Bieber now has dreadlocks. Can you even BELIEF this? CAN YOU? CAN YOU BELIEF IT? Here is a photo, so you don't have to belief it. You can see it. That is the purpose of a photo. So you no longer have to say 'what do you mean' or 'I'm confused, are you just making weird Justin Bieber song references?'. You have evidence. 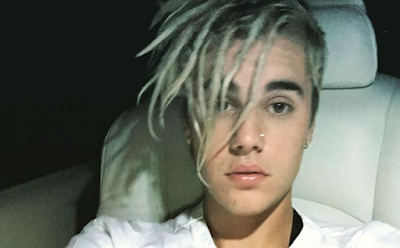 Evidence that Justin Bieber NOW HAS DREADS.